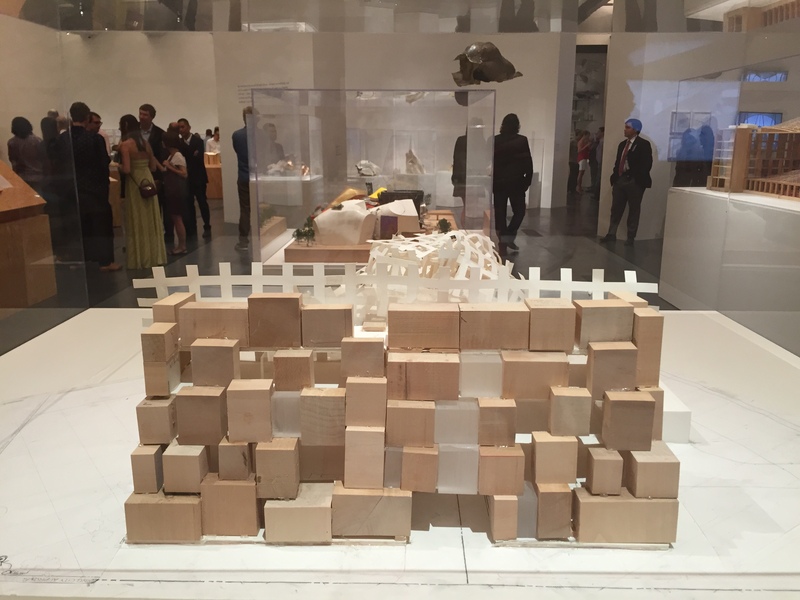 Posted on September 10, 2015 By Communication Arts + Design, Inc.
We attended the spectacular gala opening for Frank Gehry at the Los Angeles County Museum of Art on September 9th. The exhibition is outstanding, smart, provocative and incredibly comprehensive. Kudos to Mr. Gehry for a lifetime of spectacular international projects. This show is a gem in every respect despite the 100 degree humid weather (sympathies to all the men in jackets), the art and architecture world turned out in full force for the evening. 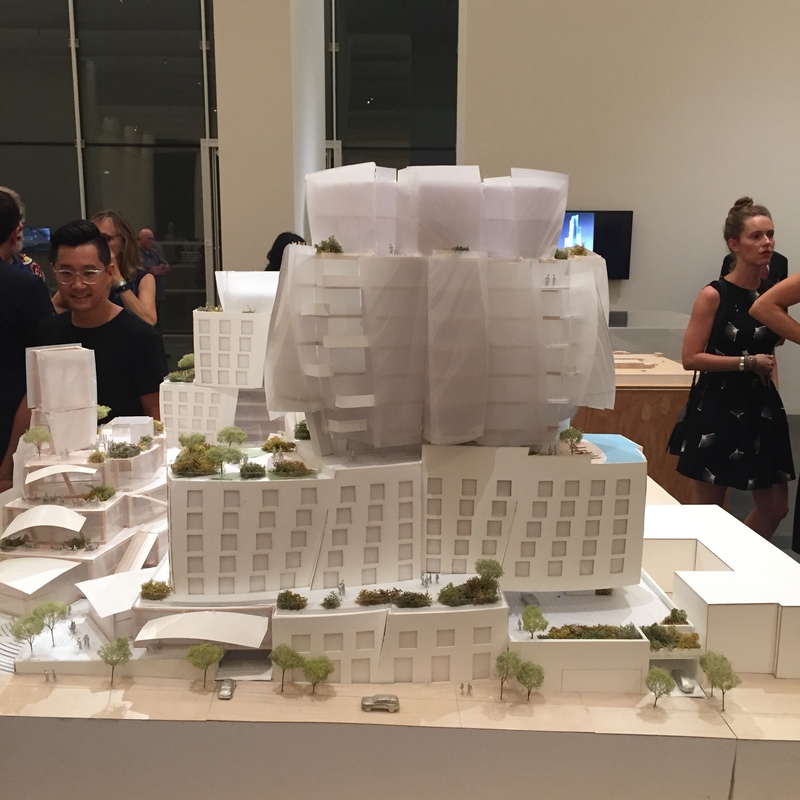 LA will be fortunate when this multi-dimensional and highly sculptural project is complete by Mr. Gehry—a spectacular new facility for the beloved Jazz Bakery at the Helms Bakery Building in Culver City. 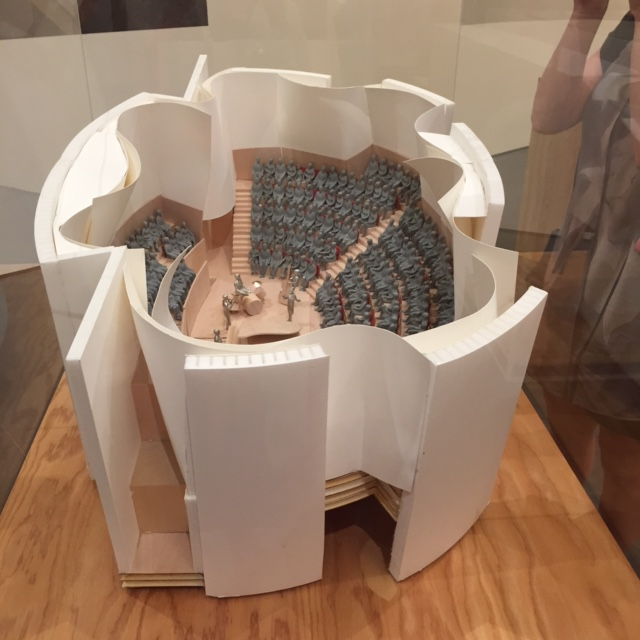 All the jazz buffs gathered round to view this model in eager anticipation of the forthcoming concert hall. 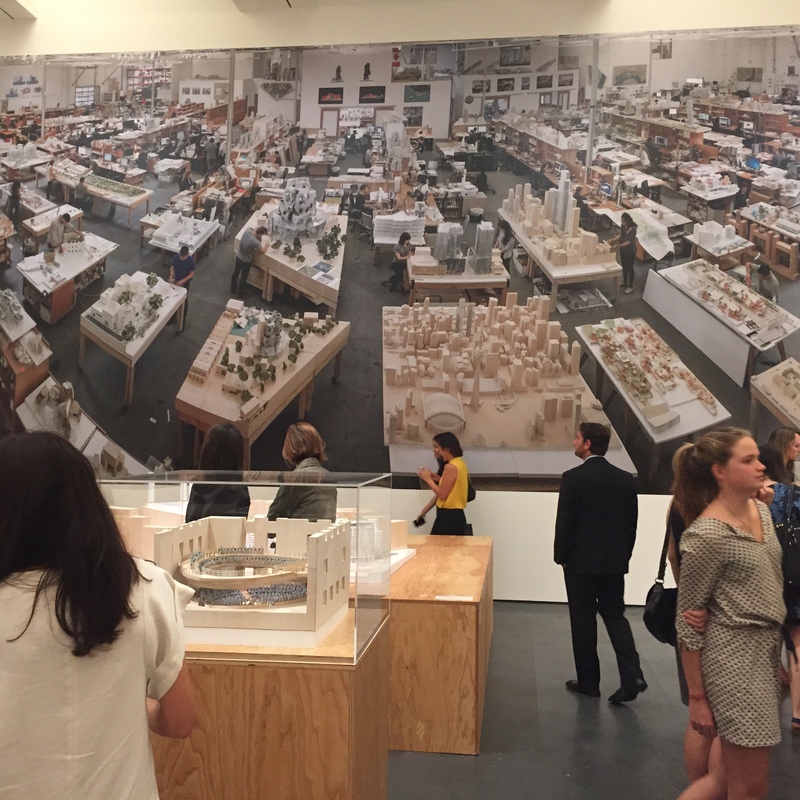 This museum is featuring the first comprehensive survey to date of Mr. Gehry’s product designs, from the corrugated cardboard and ribbon chairs, to a polished tea kettle by Alessi, at the new JFChen@1135 in the Highland Arts District. This will be the museum’s annual gala, so save the date for Sunday, October 25th, to see Mr. Gehry honored with the Henry Award for remarkable achievements in product design. 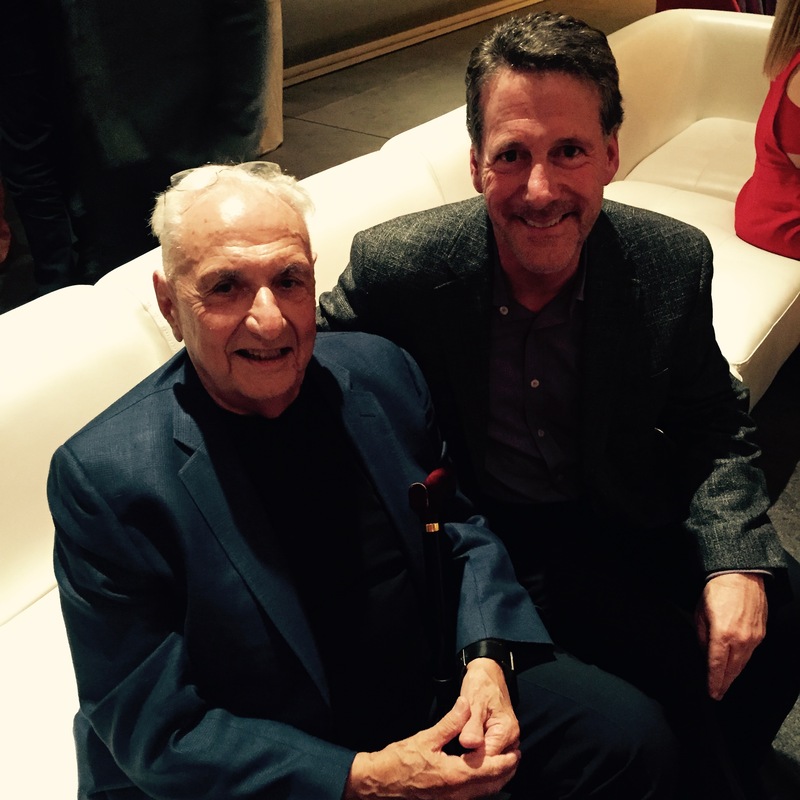 Russ Diamond, pictured here, spent some time chatting with Frank Gehry at the reception following the exhibition. 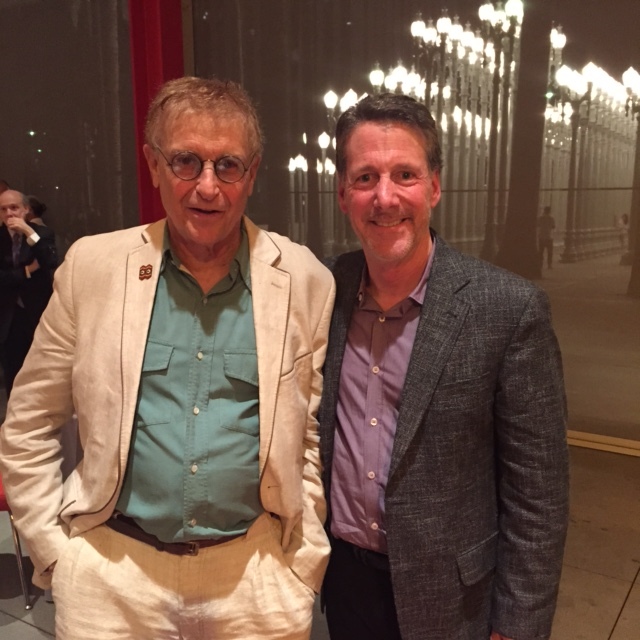 Pictured: (L to R): Bill Stern, Executive Director of the Museum of California Art, with Russ Diamond of Snyder Diamond.